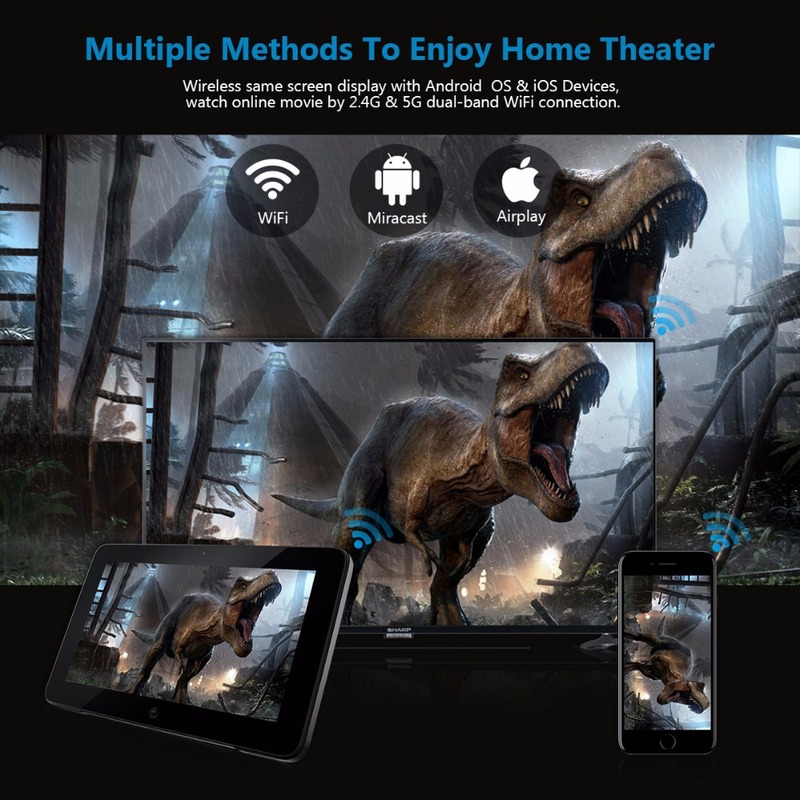 Through WIFI, you can easily connect your smart phone/tablet to the projector for multiscreen mirroring by Airplay(for IOS) and Miracast(for Android OS) or by the Eshare APP. Please note that the projector and your devices need to connect to the same WIFI. clear lifelike(1000:1 contrast ratios) and high brightness(300 ANSI lumens) images for you. With built-in Bluetooth 4.0, P8 is easy and convenient to connect the projector with different devices like mouse, keyboard, speakers. P8 is mini as the size of iPhone 7 plus,so just take it with you and enjoy movies anywhere anytime! Projected Dimension 40 - 120"